Did you think Pokemon Go had run its course? Not so for many who gather around various hotspots in Thurston County for Pokemon Go Community Day. 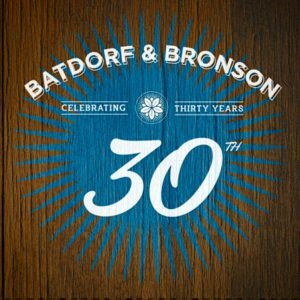 Batdorf & Bronson will celebrate their 30 year anniversary all year long. Image courtesy: Batdorf & Bronson. For three hours once a month places like Percival Landing fill with a parade of players. Some people wear Pokemon costumes, headbands, hats or sunglasses, while others come prepared with portable chargers. A few agile experts play two phones at once. Here and there someone will shout, “I got a Shiny!” and everyone around them will cheer. Players of all ages wander the boardwalk and stop periodically to tap at their phones. Sometimes a large group will form where a “raid” is taking place and everyone is working together to battle a large rare Pokemon together. After a few minutes of frantic tapping, someone will say “I got him!” or “Oh, he moved at the last second!” Then they will wander off in search of new Pokemon to capture or head in another direction to collect more Pokeballs. Pokemon hotspots can be found just about any place people tend to gather like public parks. Clusters of Gyms, Nests, and PokeStops can be found in downtown Olympia at Percival Landing, the Capitol Campus, and around Capitol Lake. They can also be found in public areas between Long Lake and Patterson Lake in Lacey and around Yelm. These are all good places to play Pokemon any day of the year, and it is not unusual to see people walking around, avidly tapping at their phones. Most likely, they are playing Pokemon Go. Community Days are determined by the developers of the game. They entice people to participate by releasing special characters that are available just for three hours all around the world. 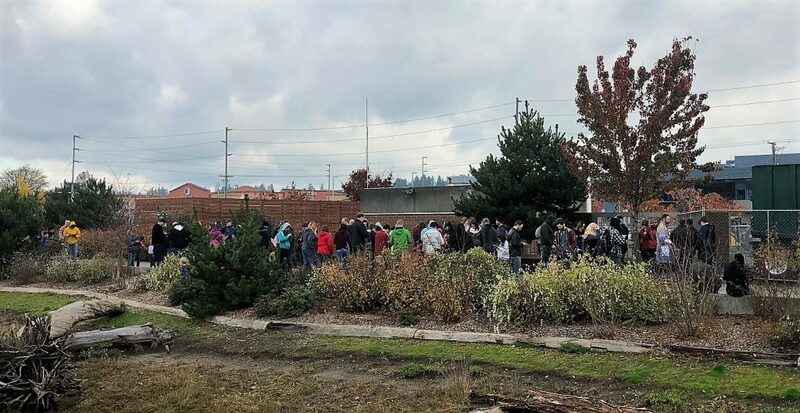 The first Pokemon Community Day occurred on January 20, 2018. They still generally occur on a Saturday once a month between 11:00 a.m. and 2:00 p.m on our side of the planet. People can find out details about an upcoming Community Day online or through local Pokemon forums or on the game itself. 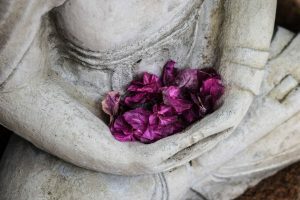 On these special days, players can earn bonus points and learn new techniques as well. While playing Pokemon Go, you have to walk to “incubate” your eggs, so walking long distances is encouraged. 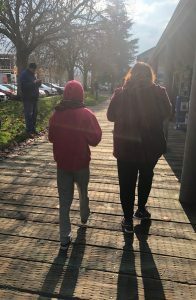 “Some people knock it because you’re using your phone, but it has replaced listening to music while walking for me, and it’s more of a conversation starter,” says Aimee. “And it sure beats playing video games in front of a TV,” she adds. 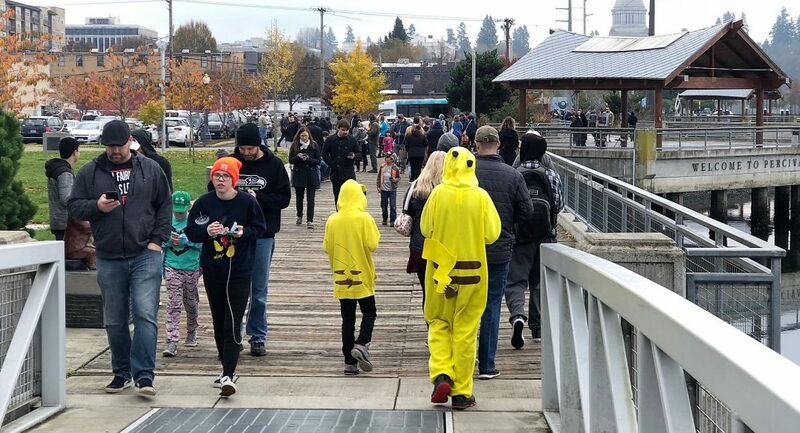 In 2016 when the game first launched, there was a large variety of people out playing, from families and retired couples to professionals who would run out on their break to catch a few Pokemon. The game made world news. “Now here we are more than two years later, and the crowds are not as crazy as the launch, but there is still a huge following,” says Aimee. People don’t have to wait for Community Days to congregate with other players. Smaller Pokemon meetups are often organized on any of a number of online forums or local Facebook groups.